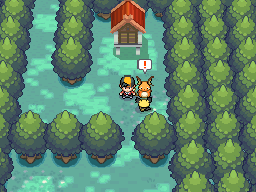 Like Pokémon Platinum, Heart Gold & Soul Silver have got special details implemented within the game if you send certain Pokémon over.. 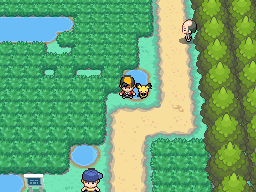 In Platinum, this allowed for new forms and capturing of certain Pokémon. However, Heart Gold & Soul Silver have got a slightly different take on this. With the Pikachu Coloured Pichu and the Spiky Eared Pichu in Ilex Forest, the Spiky Eared Pichu shall then join your team. This Pichu is completely unique and you will be unable to get it by any other means. However, there are a variety of new details about it. However, there is a draw back to the Spiky-eared Pichu. 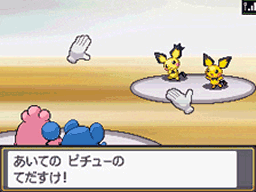 First, the Pichu is unable to evolve into Pikachu and as such not into Raichu. In addition to this, it is unable to be traded to other games. If you take the Spiky Eared Pichu to Professor Elm's and have it at the front of your party, you will get some backstory of the Pichu. 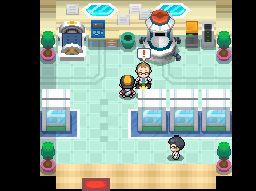 Professor Elm will say that Professor Oak has recently discussed Celebi's time travel abilities and that the Pichu proves his theory. The Spiky-Ear Pichu arrived in this time by Ilex Forest through time travelling with Celebi, which explains why it cannot be traded and why the trainer needs to take care of it.